Includes 4 Felt Animal Puppets! 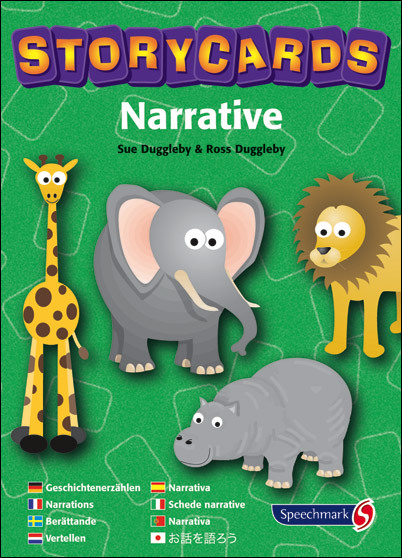 This resource is designed to make children aware of the basic structure of a simple story i.e. beginning, middle and end. The stories encourage children to consider: Who? Where? When? And what happens? 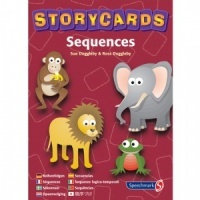 The four stories told through the 12 cards each, are: as well as the stories themselves, the reverse of each card will contain a photocopiable tool for students to create their own stories from the characters and situations. Puppets of the animal characters are included to help students retell the story. Developing narrative skills will always be fun when using these beautifully-illustrated picture stories and character puppets! 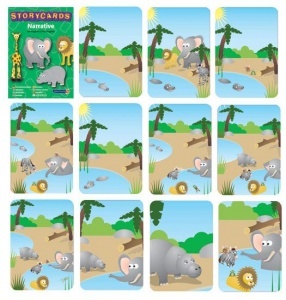 48 picture cards illustrating four stories; instruction booklet and four felt animal puppets... Sulu the Lion - Lions can't climb trees ...or can they?, Rolo the Hippo - This isn't my pool!, Mala & Rosie - Big elephant, little elephant, Dot the Giraffe - Who's eaten the jam?